The day started when I rolled out of bed at Madrona Manor in Healdsburg. In just under an hour I was to meet Barry Hoffner, President of the Pine Mountain Cloverdale Peak Winegrowers Association for a tour of the new AVA. But first there was breakfast. 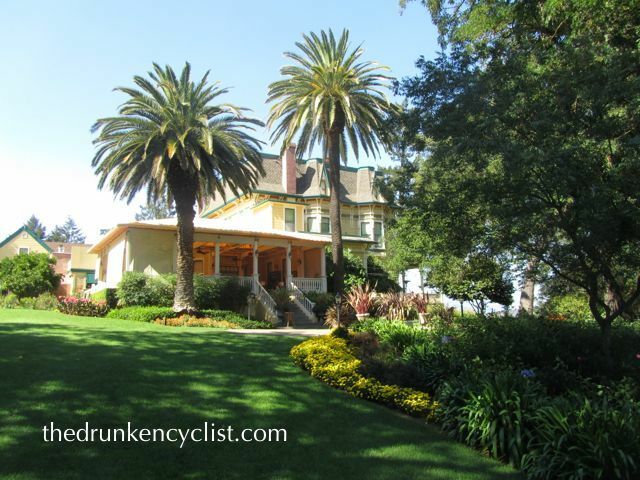 Madrona Manor, a Victorian mansion built in 1881, is a well-known destination in the Dry Creek Valley in Sonoma County. It is perhaps slightly less well-known for its charming, gracefully aged rooms (I certainly felt as if I were in a different era as I sipped my Anthill Hill Farms Pinot on the terrace), than it is for its Michelin Star restaurant. Seeing that I was there on a Monday night (when the restaurant is closed), my only dining experience at Madrona Manor would be the morning meal. It did not disappoint. Quiche, muffins, pastries, and wonderful fruit. I do not drink coffee, so I can not speak to that, but the breakfast was fantastic. I headed outside and was admiring the impressive Madrona Manor grounds when Barry pulled up. I hopped in his car, and we were off. I had been the “guest” of an AVA before: the idea was to meet a few people, visit a few wineries, and help spread the word about the appellation. 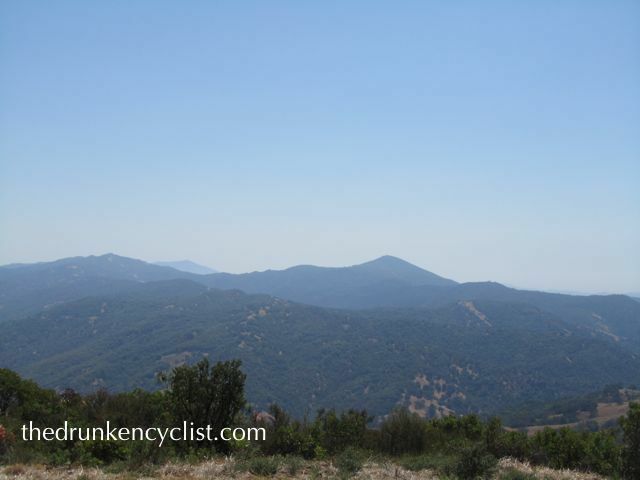 The visit to Pine Mountain-Cloverdale Peak would prove to be a completely different experience, however. We first stopped in Cloverdale as we were a bit early for our first appointment. I know it is perhaps a bit cliché, but Cloverdale is charming—it looks and feels like Smalltown, USA, with its recently reopened movie theater, cozy coffee shop, and dozens of Victorian houses. We stopped by the local caterer to pick up our box lunches and then drove up the road to Pine Mountain. As we headed up the mountain, I wished that I had brought my bike—it felt like we were going straight up—a road that makes guys with shaved legs drool. It was not until we hit about 1,500 feet that we saw the first vineyards, and with some vineyards approaching 3,000 feet, Pine Mountain-Cloverdale Peak has some of the highest vineyards in the state. A 1952 “Willie” Jeep that was once part of a Korean MASH unit. 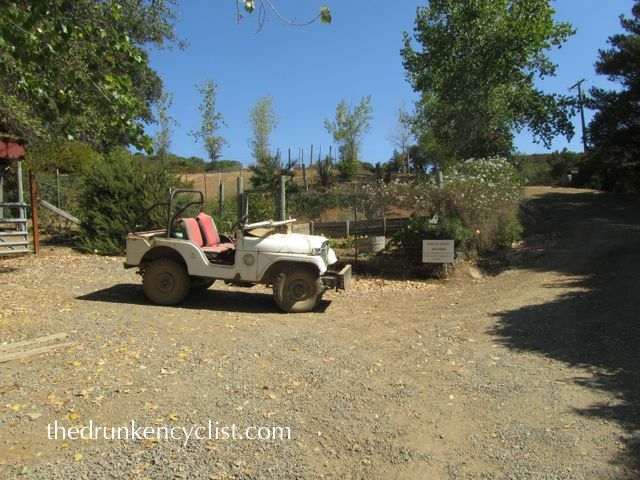 When we got in the Jeep, I thought it was just part of the Tour, as in ”Hey let’s go for a ride in this old Jeep!” Well, I soon figured out that there was a reason we changed vehicles—we were heading into the vineyards. 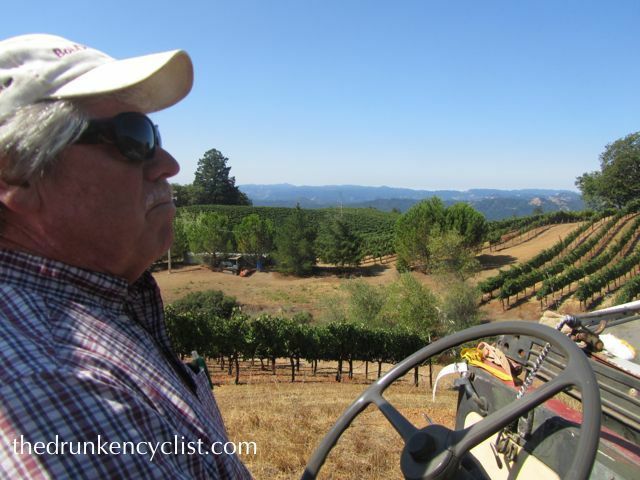 Over the next 30 minutes or so, Tim proceeded to drive all over the vineyard, up and down some of the steepest slopes I have seen—it certainly served as a roller coaster fix. Tim has been growing grapes on Pine Mountain for 25 years—long enough to see plenty of changes and encounter all types of people. He has also amassed a host of stories and opinions—neither of which was he hesitant to share. Unfortunately, I can not share them with you—my white knuckles were firmly wrapped around the side of the jeep as we bounced down 30-40% grades, and I was unwilling to risk tumbling out of the jeep to type a few notes on my phone. View from the top of Sky Pine Vineyard. As we arrived back at the winery, I peeled my hands loose from the Jeep, and checked to make sure that I had not soiled myself (I hadn’t). Tim gave me a brief tour of the winery (any of tour of the winery would be brief—total production is about 300 cases and the facility is equally tiny), and then we headed back down the mountain to meet Barry. Barry was there waiting and after thanking Tim, we were back in Barry’s car, headed back up the mountain to Barry’s property, Silverwood Ranch. Barry’s vineyards represent roughly 25% of the 310 planted acres in the AVA and he sells his fruit to some big names: Most of the fruit goes to Francis Ford Coppola for their Cabernet-based Archimedes label that was created as their new flagship wine; Miro Tcholakov, the wine maker at Trentadue, buys some Pine Mountain fruit for his own label, Miro; and Benzinger leases 30 acres from Barry to grow eleven different varieties for its Imagery brand that focuses on small-lot, mostly lesser-known Italian varieties. We pulled up to the house on the property, dropped off the lunches, and then got into Barry’s Kubota Utility Vehicle. At least this time I knew what was coming…. We drove all over Barry’s 1,200 acres (less than 100 are planted), driving among the vines, stopping to taste fruit along the way. 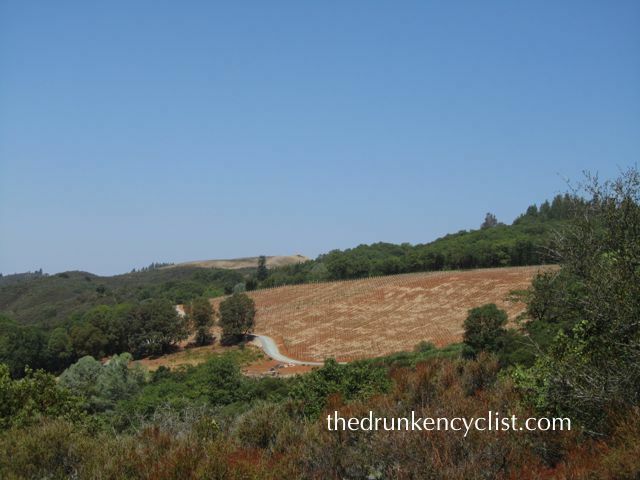 We eventually made it to the top of the property, and dipped over into Mendocino County (the appellation is split between Sonoma and Mendocino Counties). View from the top of Silverwood Ranch. 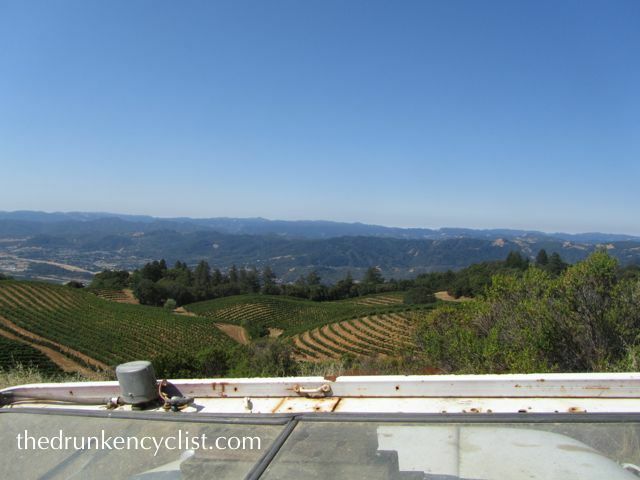 Another big name, Jackson Family Wineries, sees the value in Pine Mountain-Cloverdale Peak. The cleared land is a new 120 acre vineyard. We eventually made it back down to Barry’s house where we met John Compisi (Director of Marketing and Brand Development for the AVA) for lunch. During lunch I was trying to get my arms around why I was there. Don’t get me wrong, I was beyond glad to be there, but why did they want me to write about the region? Sure, the AVA status was just recently granted, but they were not looking for new wineries or growers to move in. They were not hoping to get more per ton for their grapes nor more investment dollars. So what was it? Barry pulled out two wines that sported the new AVA on the label: 2012 Imagery Estate Malbec Pine Mountain-Cloverdale Peak ($35-40) and 2012 Miro Cabernet Sauvignon Silverwood Vineyard Pine Mountain-Cloverdale Peak ($32). Both wines were fantastic, and I stopped to write a brief tasting note for them, and originally included those notes in this post, but I have since realized that by doing so, I diminished the experience. I have tasted countless wines with winemakers and growers before, but this was categorically different. We were drinking wines from grapes grown just over our shoulder, and that is why I was there, to experience this place. And the experience was phenomenal. This entry was posted in Cabernet Sauvignon, Malbec, Wine, Winery Visit. Bookmark the permalink. Very cool . . . but wait? You DON’T drink coffee? I have only had one “real cup” of coffee and that was just a few years ago at Clos Pepe, under duress. Never really developed a taste or need for it. Yeah, the coffee thing jumped out at me, too. What a great experience. Question … can buyers east of the Mississippi find wines from this AVA? PS: … The post I mentioned is up. (Look for “Surprise” in the title). The wines are slowly making their way into the market. The region is perhaps best for red varieties, so the first vintage under the new AVA is just now coming to market. And nice write-up about the Secret Wino! I was able to buy wine from this AVA at http://www.amperewines.com. I can’t wait for it to arrive! From what I’ve tried, you’re in for a treat! Imagery is the lower level winery under the Benzinger name to my knowledge. We were at the Benzinger Winery yesterday and had single vineyard Pinot Noir and 100% Cabs. I don’t believe that is offered at Imagery. Thanks for the input Lisa—based on John’s and your input, I have altered the text a bit. Thanks for pointing it out! Don’t think you want to characterize Imagery as upper or lower for Benziger Family. Joe Benziger “decided that there were some vineyard lots that were just too good to get lost in a big blend. He set out to showcase these special vineyard sites in a series of small artisan wines. As Imagery evolved under Joe’s direction, the emphasis on limited-production wines evolved to focus on lesser-known varietals.” extracted from the Imagery Website. Thanks for the clarification John. I have altered the text a bit to better reflect the arrangement.